Looking for a pincushion? Ask Fred.. I had some lovely pink tweed left over from a project I made 6 years ago! As the pattern was for a door stop, I decided to decrease it a little. Everything is so much easier to hand sew – especially when you are working with tiny fiddly pieces like the head gusset and tiny ears. I decided to embellish him a little with some lazy daisies and fly stitches along his back. He is a very friendly chap! 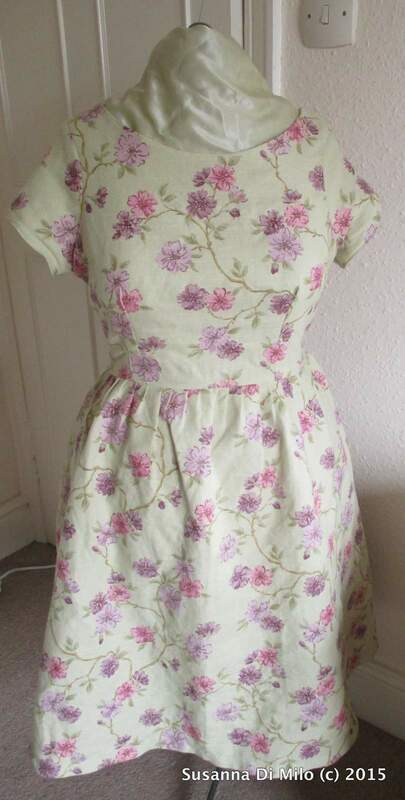 A dear friend of mine was getting married so I decided to make myself a dress – I have been gradually working through my fabric stash -this beautiful fabric was bought a couple of years ago from a curtain shop that was closing down. 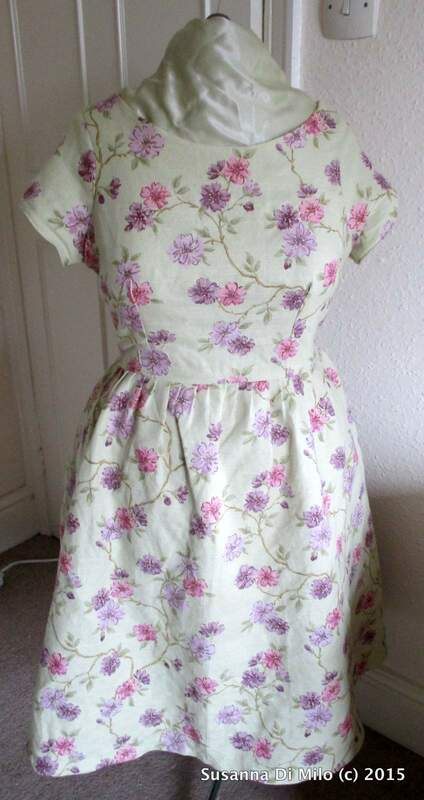 In all I had just over three metres that I had snapped up for £7! The fabric is big and bold the flower heads were enormous, but the repeat was manageable with the quantity of fabric I had. 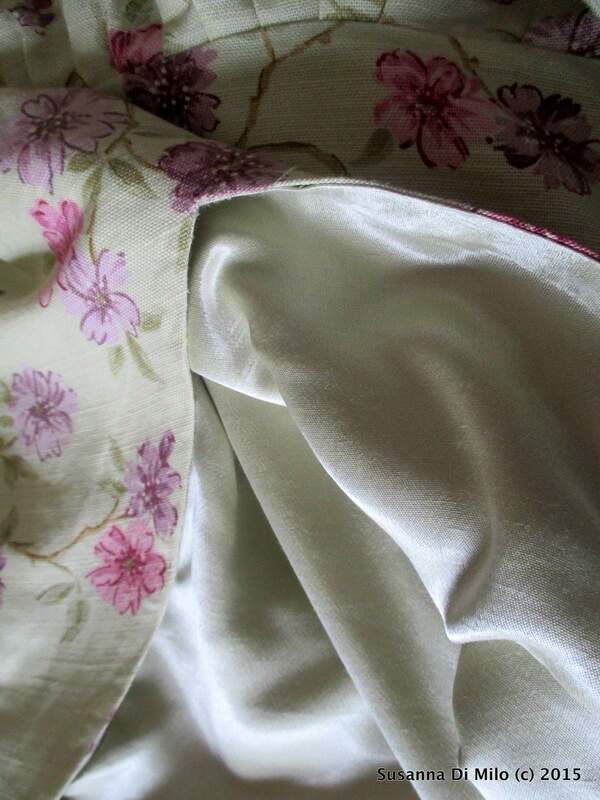 I also loved the weight of this cotton, similar to the purple linen I used for my spring dress. I have also been learning some Couture techniques that I was hoping to put in practise: using an underling. This pattern came with my Love Sewing Magazine and, joy of joys, it came in a DD cup! No full bust adjustment for once! What a brilliant idea! The Thread Count patterns are very well thought out and I hope that other patterns will follow their lead! The princess seam line, just off the bust line works well for my body shape, it makes the bodice easier to adjust without deep darts. I really struggle because my bust is quite big, I avoid waistline darts as there is not enough room and they end up very deep! 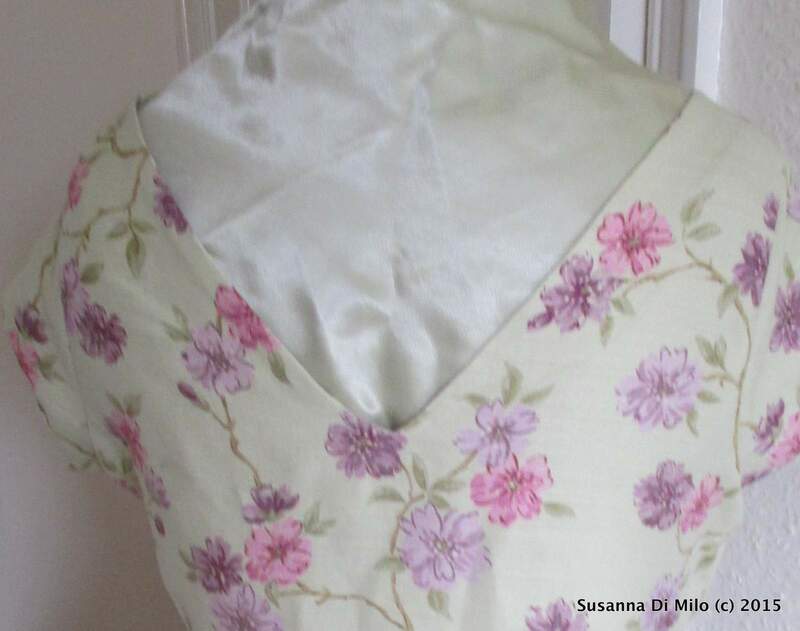 The pattern was very easy to follow – I was delighted to find after making the toile there was no pattern adaptation other than bringing in the back by a couple of inches. I decided to change the lightly gathered skirt opting to use a circle skirt to avoid extra bulk around the midriff. I am short waisted with a bit of a tummy which reduces the overall space between the bust and waistline. 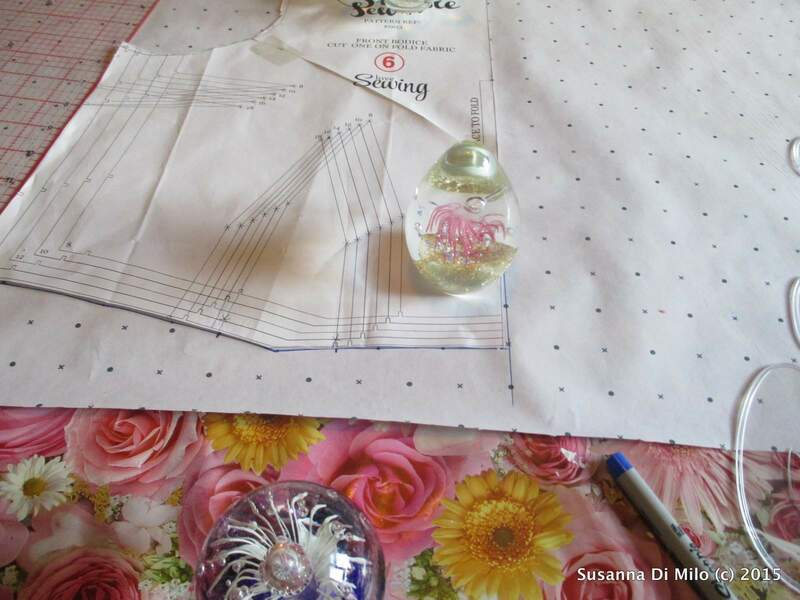 I used a beautiful soft voile as the underling – it was the first time I had used this technique – oh it is delightful, suddenly the garment has more structure! I hand stitched the princess seams open – it might look messier than my overlocker, but I find I really enjoy the control hand stitching gives! This will be covered by the lining anyway. 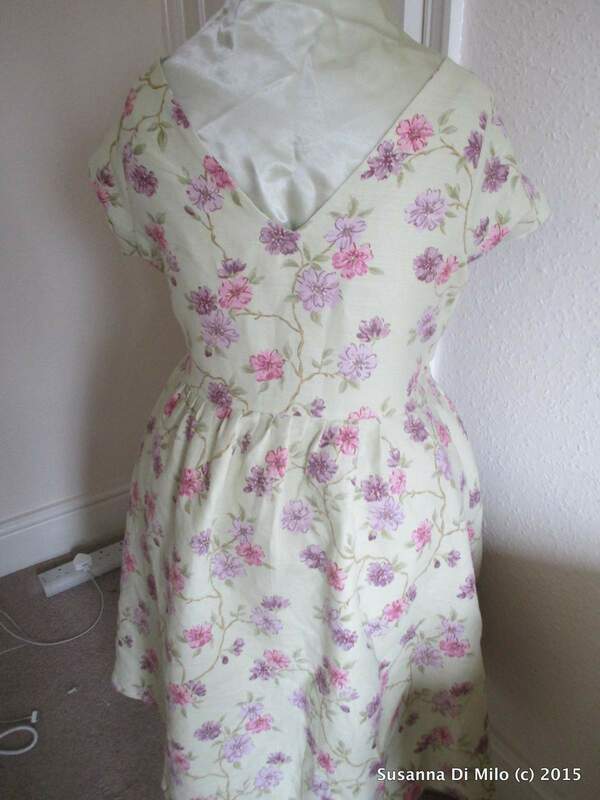 I used the underlining to pattern match the bodice pieces, I wanted the design to flow round the body – while the design was large I had enough fabric to get the pattern matching right on the bodice. 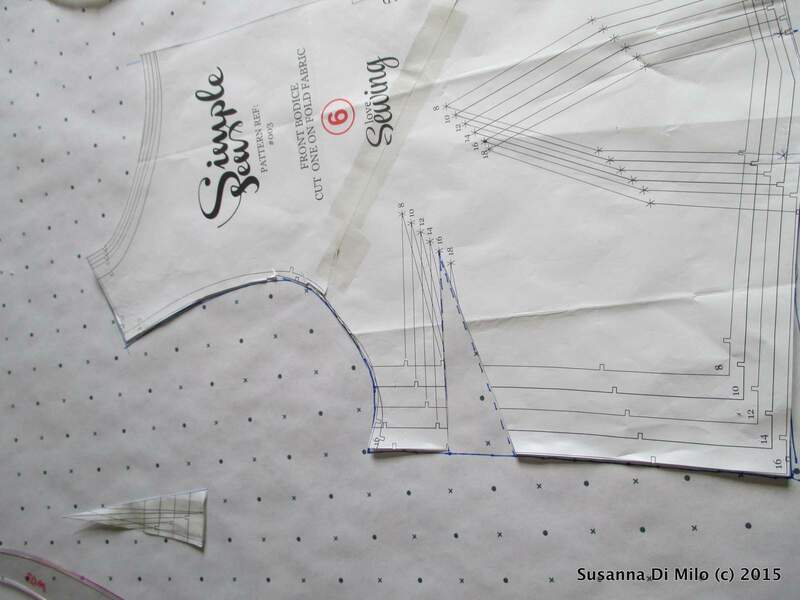 The side seam worked beautifully – once again hand stitching the seams open to the underling, meant that no stitches came through to the front of the garment. 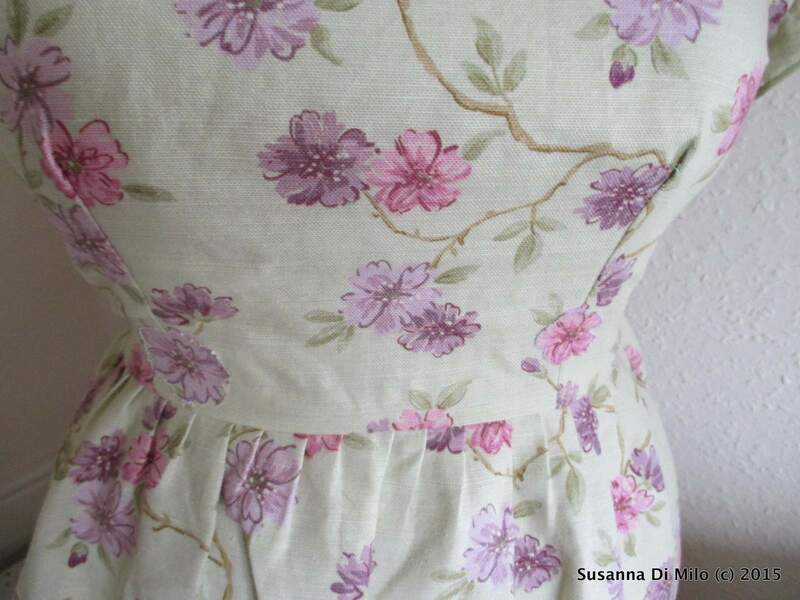 The pattern matching came up well along the back bodice, although it was difficult to do on the skirt. I hand stitched the zip to the underlining again – so there is no visible stitching line the right side, only the zipper pull is peeping out from the top. 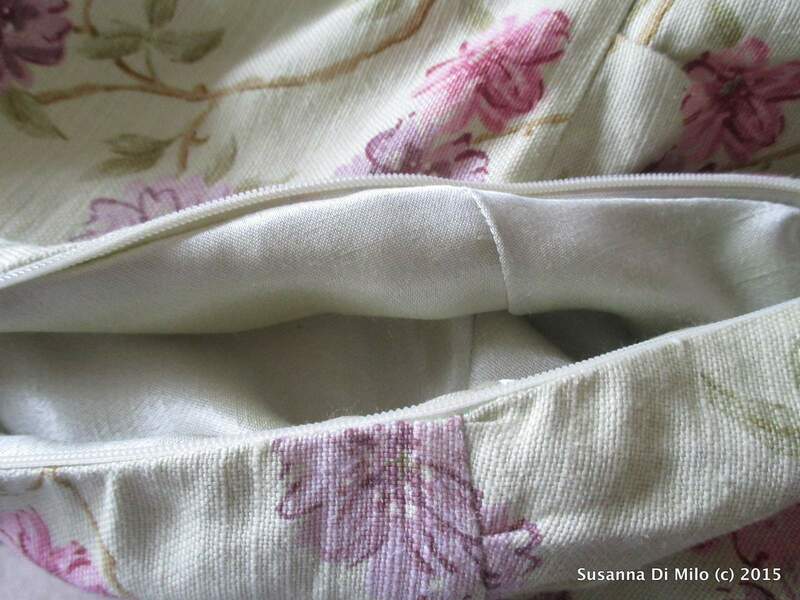 I used a organdie lining for the skirt – I had to pattern match as best I could – trying to ensure the flowers ran centrally along the front. The underlining helped the skirt to maintain its crisp shape, allowing the garment to flow around the body, as it is quite slippery. The skirt flowers matched the bodice but I could not be as accurate as I was on the bodice as there simply wasn’t enough fabric to play with. Although I am quite pleased with the results. Here I am wearing my dress and reading out a poem during the service, the dress was supported by a net underskirt. It was a fabulous wedding and a beautiful day! Many retailers are making clothing in Knit fabrics because it allows for more flexibility with sizing – but they offer a challenge to the home sewer that is easy to overcome. Stretch fabrics have a life of their own – Jersey is a very finely knitted fabric which can be made from many different fibres from cotton to polyester. Some might shy away from Polyester, but recent developments have produced blends that are warm, soft and fluid, like the fabric I chose for my project. Most patterns are made to be cut on the fold, but with stretch fabrics the lower part of the fabric can shift. 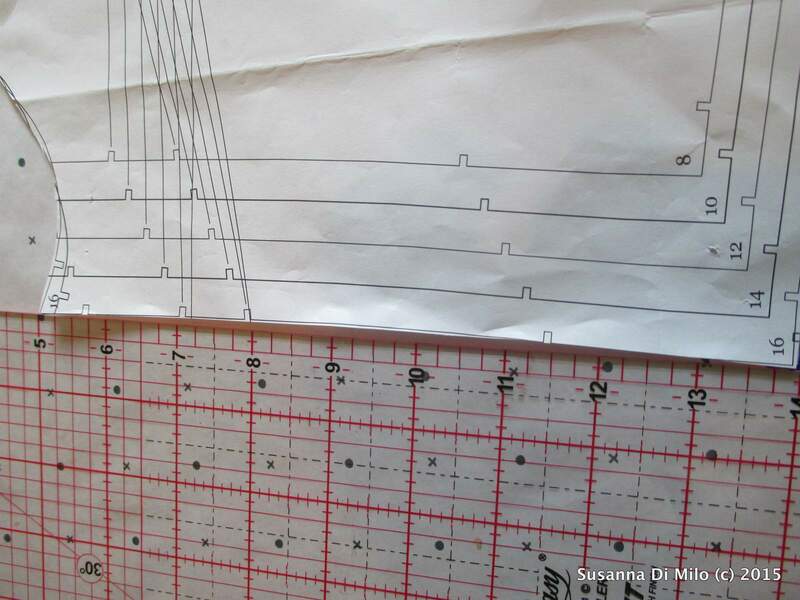 It is best to draft a new patten piece and cut a single layer. If you don’t have any pattern paper, you can lay the pattern out on one side, then turn it over to cut the second side making sure you don’t disturb the fabric. The left hand square was cut on the fold, the right and square cut in a single layer. Notice how much the left hand square has grown on the left side almost 5cm! The left hand side was the underside of the fabric when it was being cut. 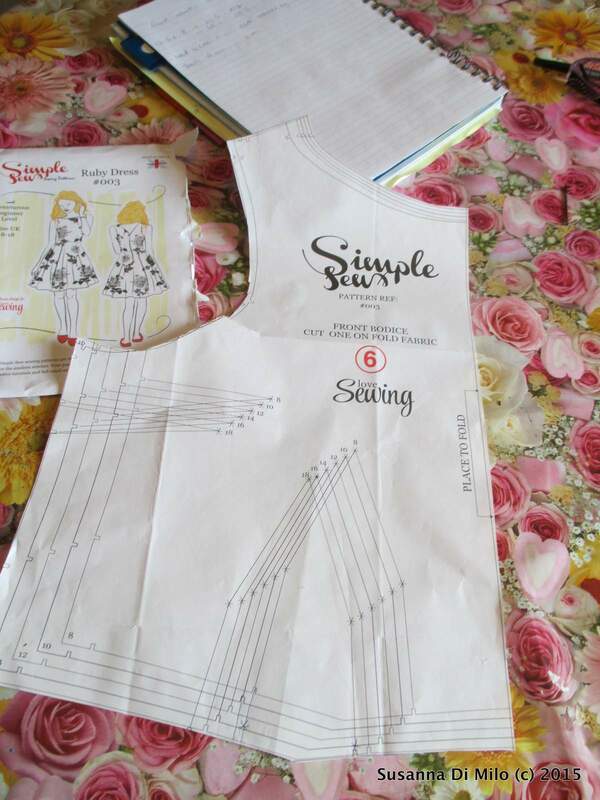 Don’t cut out your fabric all at once – cut each piece as you sew – the less time the fabric has to move the better the stability and the more likely the piece will retain its shape. The fabric shifts and moves easily! Take care not to shift the fabric around while cutting – I caught the bottom of my fabric pulled it slightly during cutting, I thought I had rectified it but when I compared the pattern to the fabric, I had cut the bottom edge 1/2 inch smaller! The act of cutting with scissors lifts the fabric – causing it to stretch and move. A rotary cutter puts downward pressure on the fabric and anchors it in place while cutting. 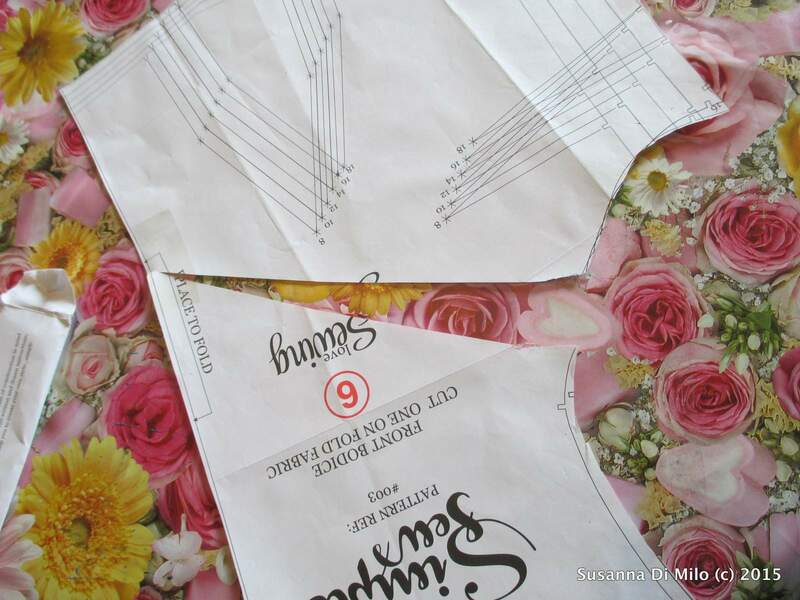 Accuracy will improve and it is easier to follow the sharp armhole curves. These are different to ball point needles – they are coated with anti-static, which prevents the fabric from sticking to your needle, causing skipped or missing stitches. They also have ball points that move the needle between the knit rather than piercing the threads and causing a ‘run’ (it looks like a ladder that you see in tights!). If you don’t have an overlocker – use a Walking Foot. Overlockers are made for stretch fabrics – they have what is called a differential feed – that means two sets of feed dogs, one on the bottom that feeds the fabric through, and one on the top that pushes the fabric out. An overlocker can push more fabric though the bottom than is being pushed out at the top and visa versa – hence the term ‘differential’. The seam created has a little stretch of its own. If you plan on making lots of stretch fabrics it is worth the investment of an overlocker, it speeds up the making process by neatening the edges as the garment is sewn. A walking foot – creates an upper fabric feed system to work with the feed dogs so that your sewing machine can create a similar seam – it works very effectively and allows a little more control when stitching. 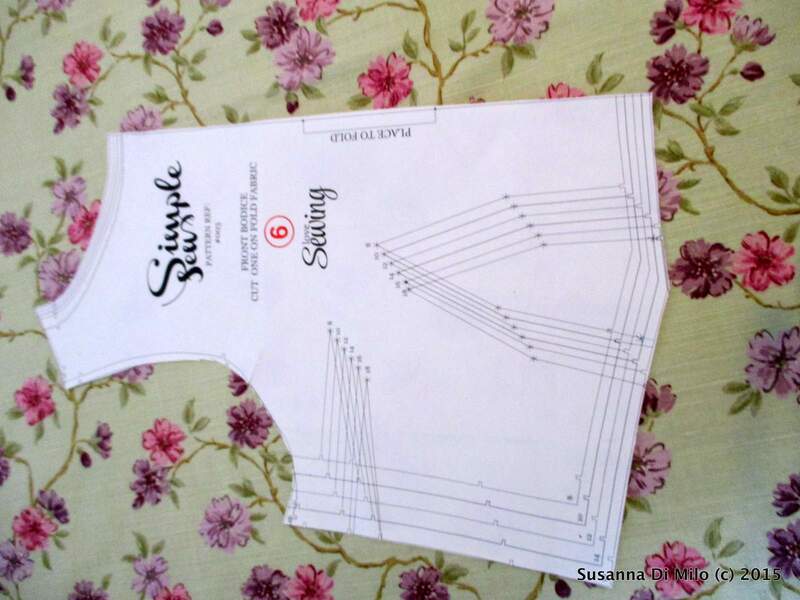 If you are using your sewing machine – ensure that you use a knit stitch or if not set your width just above zero so that each stitch is a tiny zigzag, this will give your stitching the flexibility to move with your fabric as it expands and contracts. Let there be a harmonious marriage between fabric and thread. Natural fabrics need natural threads, synthetic fabrics need synthetic thread – polyester knits are best stitched with polyester thread, cotton with cotton – save your sanity and seam ripper! Necklines will grow – more so with stretch fabrics. Stabilise them by stitching a narrow twill tape or ribbon just inside the seam allowance. Do this immediately after cutting this piece and you will reduce the opportunity for growth! You can use the iron on hemming tape for speed but it is not as durable. 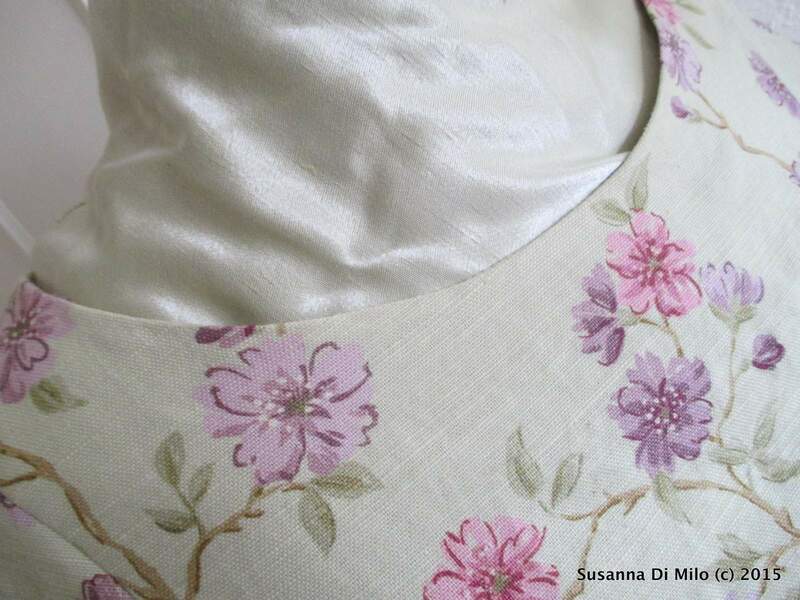 Facings are often used around necklines and armholes – because they lay inside the garment you can use more stable fabrics such as cotton or fleece. Or in this sample above I placed the facing on the outside using black wool. Try to ensure that the facing fabric matches the weight of your knit so that they are balanced. 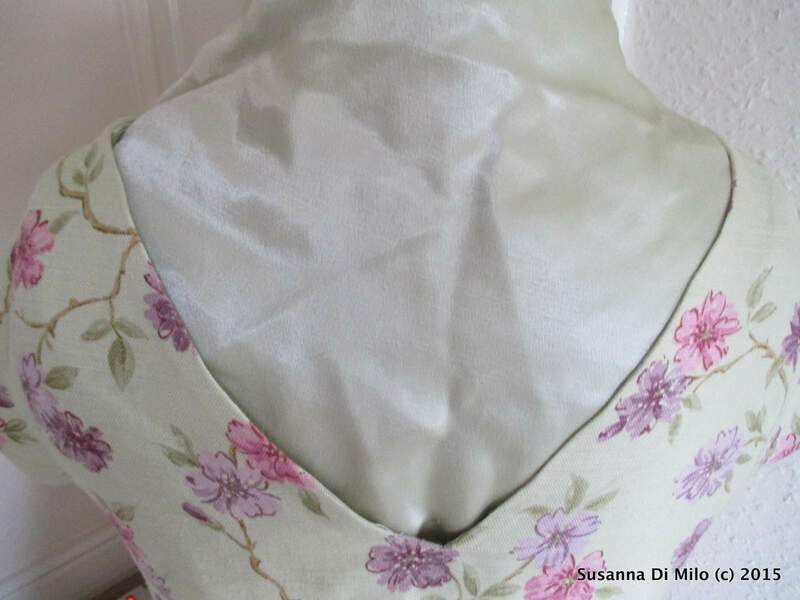 If you want to use the same fabric stitch a layer of organza on the inside edge of the facing, this will give the neckline more stability without adding bulk.